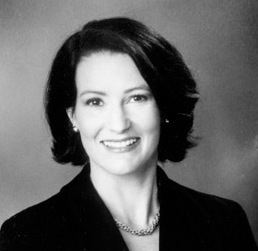 Madeleine Homan Blanchard to host free webinar on pitfalls leaders can avoid on June 16, 2010 from 9-10 am Pacific Time. With so much focus on the mistakes CEOs make, such as the BP oil spill, there is more need than ever to guide leaders to making better decisions before a disaster. Leadership coach Madeleine Homan Blanchard will be hosting a free webinar on pitfalls leaders can avoid on June 16, 2010 from 9-10 am Pacific Time. The webinar will point out flaws that commonly keep executives, from achieving success. Master Certified Coach Homan Blanchard will illustrate these mistakes and teach participating executives how their flaws can sabotage their big plans. This event will also instruct leaders to improve habits that could otherwise limit their success as leaders. It’s a great opportunity for leaders to learn how to achieve better performance from a leadership coach who has worked with Fortune 500 executives. To register or receive more information about the webinar, visit http://www.kenblanchard.com/News_Events/Conferences_Events/?id=215. Madeleine Homan Blanchard is a leadership coach with 16 years of experience working with top executives worldwide. She, along with Scott Blanchard, founded Coaching.com, the first large-scale online interactive coaching application. The site was acquired by Ken Blanchard Companies, where Blanchard forged new frontiers in large scale coaching programs. She is currently an executive with The Ken Blanchard Companies and has a private coaching practice. . For more information visit http://www.mhblanchard.com.